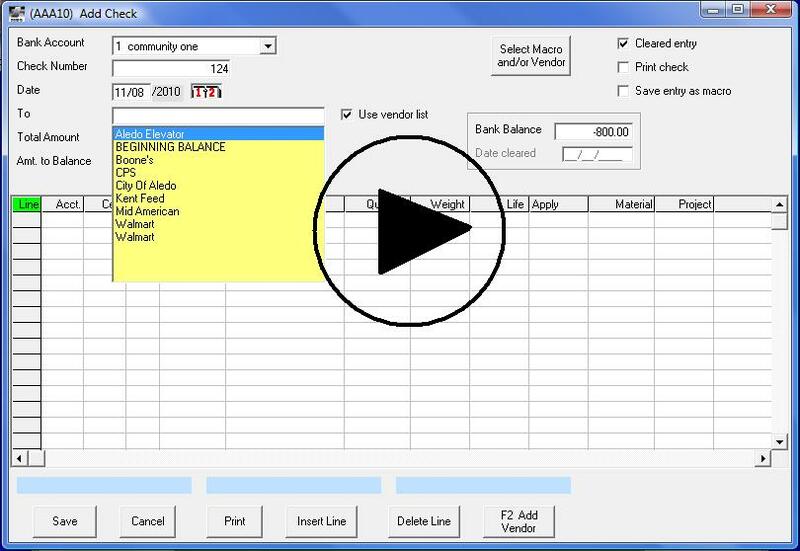 Below you will find short video demonstrations on how to input, reports, etc. in FBS. For more videos go to Recorded Webinars and User Conference Presentations. 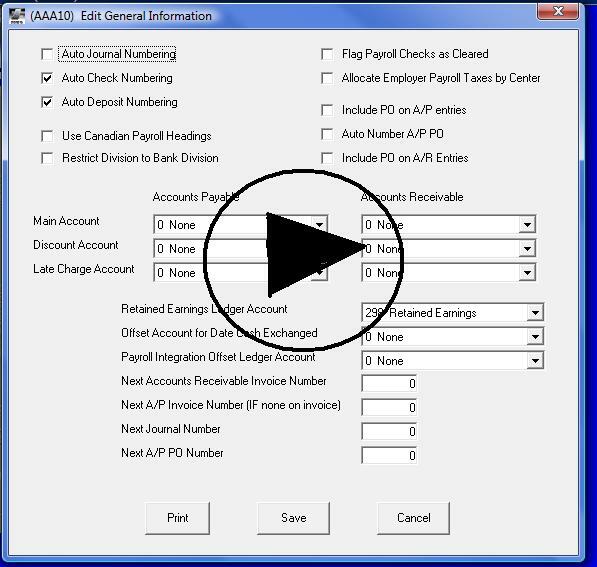 Accounting General Setup is where you would turn on auto check or deposit numbering, assign ledger accounts to the A/P and A/R modules and setup auto PO numbering or invoice numbering for A/P and A/R. 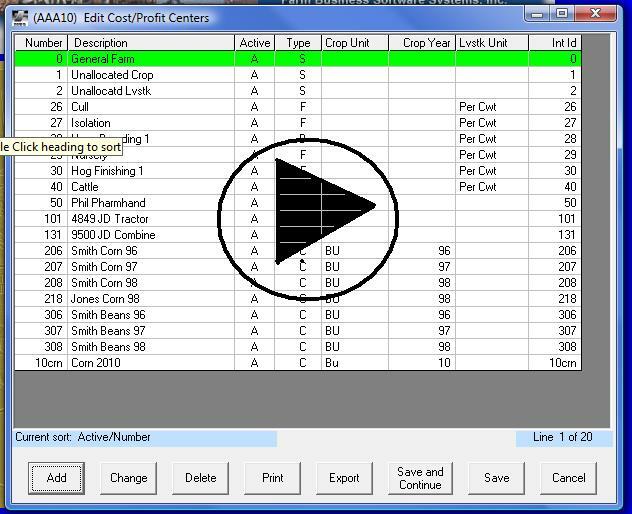 Setting up your Cost/Profit Centers. The basics of writing a check. 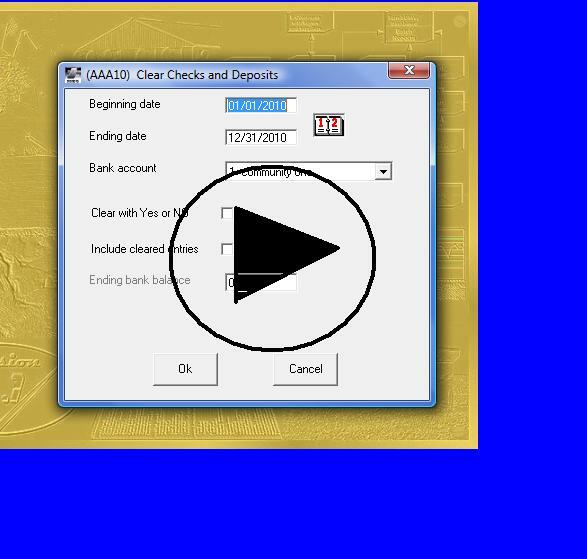 Clearing checks using the clear checks and deposit screen. 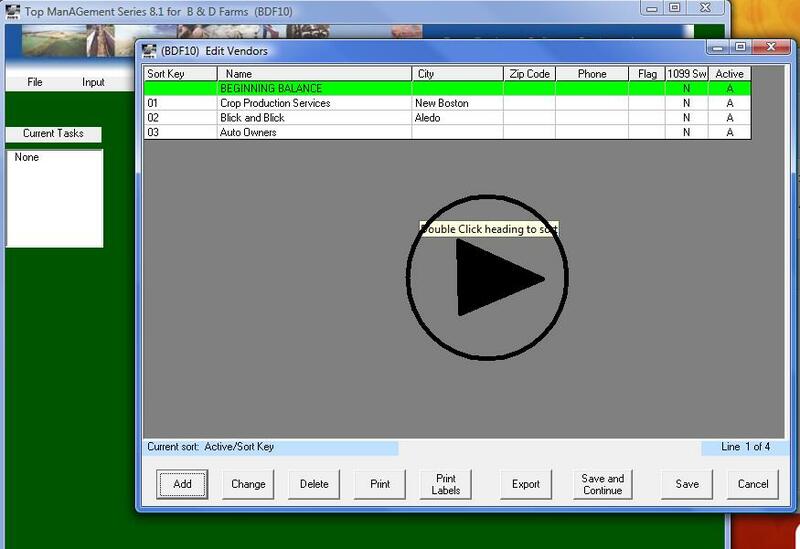 The basic check register or a reconciliation report depending on if you run by date on check or run by date cleared. 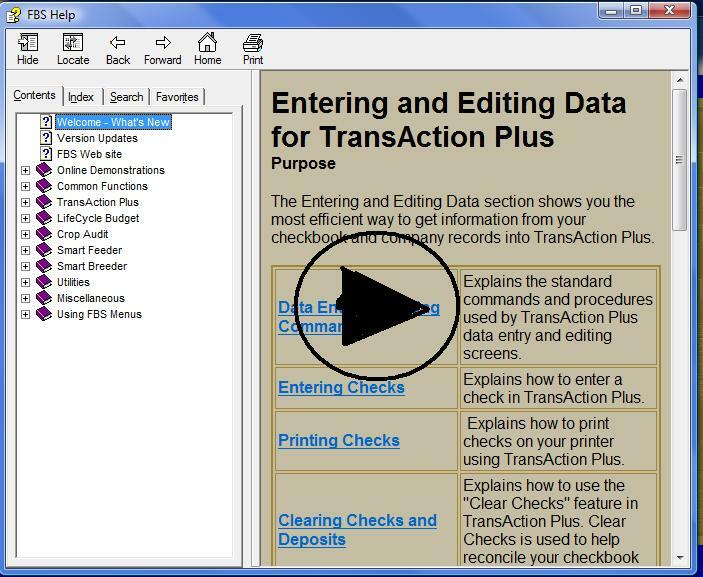 How to use the built in FBS Help file to best find the topic you need when you need it! A review on how to add vendors to your vendor list. 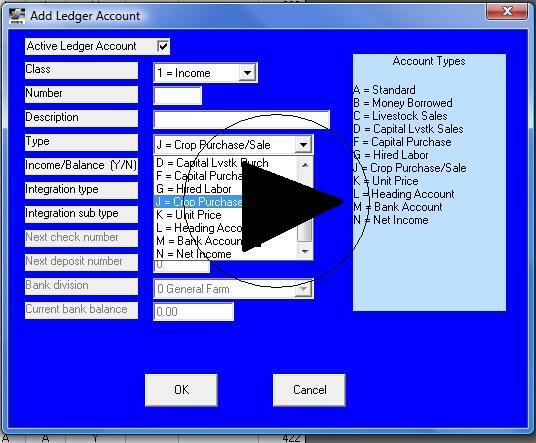 How to setup your ledger accounts/chart of accounts.